A newly designed pocket-sized plastic box with integral mixing palette containing 12 assorted Cotman Watercolour half pans, plus a Sceptre pocket brush. Portable kit with a good range of colours and plenty of palette mixing space for outdoors field studies or just simply en plein-air painting. My favourite about this kit is how it includes 6 primary colours, a cool and a warm for each, which is essentially all you need to mix any colour. There are also Sap Green, Raw Sienna and Burnt Umber for laziness and shortcuts. 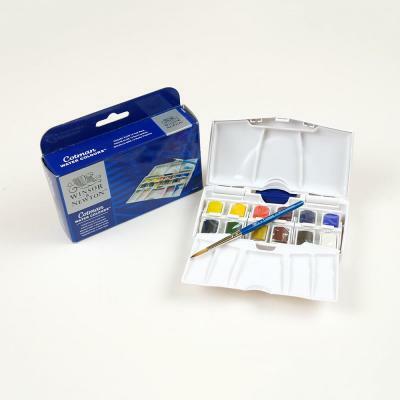 Size 5 brush is perfect for stippling pine, fine foliage or branching out trees. 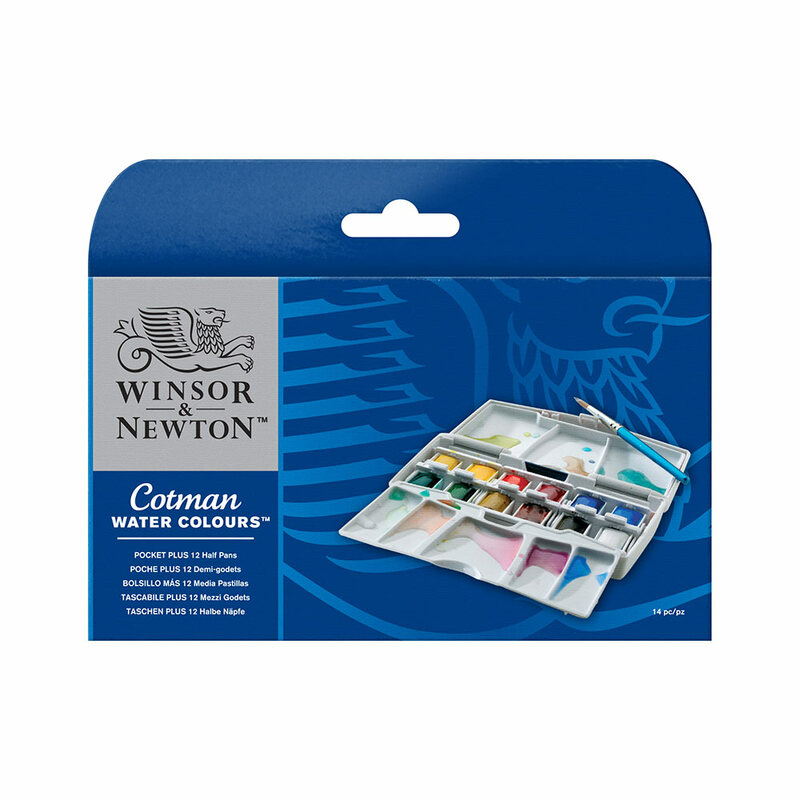 In addition to the Cotman Pocket Plus kit, I carry a water flask, size 8 and 10 round brushes as well as a sponge with me (sometimes with a flat wash and fan brush too). With it, I&#039;m always ready to go to capture a moment or create a masterpiece.